With regular drain maintenance tips, you won’t have to call a plumber so often. There are tricks that help you prevent clogs, avoid bad smells and keep everything flowing smoothly. Mix together a safe drain cleaner that you can pour down your drains once a week to prevent clogs. You’ll need one cup of salt, one cup of baking soda and ¼ cup cream of tartar (a baking ingredient). Pour a little of this powder into each of your drains, follow it with 2 cups of boiling water, and you’ll keep your drains much cleaner. Catching a whiff of a sewer smell? This is one of the essential drain maintenance tips homeowners need to know. 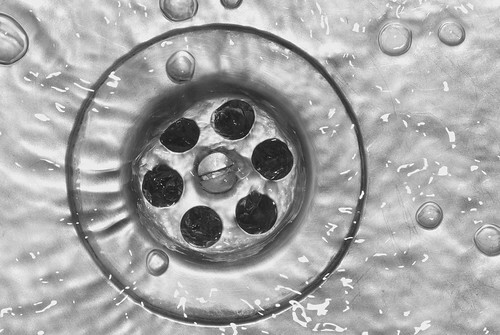 Kitchen and bathroom drains may start to smell with use. Kill the odor by pouring 1 cup of baking soda directly down the drain. Let it sit for 30 minutes, then pour boiling water in the drain to remove the baking soda and any bad odors. If odors are still bad, drip some scented dish soap into it while running hot water at the highest setting. All the food and debris that goes down the garbage disposal can cause a bad smell over time. Pour a handful of ice cubes down there and cover them with a mixture of vinegar and water (1 cup vinegar for every 2 cups of water). Run the disposal to chop up the ice, and banish that bad food odor. Give your disposal a sweeter smell by dropping a handful of orange or lemon peels into it. You can do this every month, but only once a month. The peels are acidic, and can cause corrosion. Tips like this can be helpful to keep drains clog-free and sweet-smelling, but home maintenance only goes so far. You may still get clogs and experience problems, but you’ll find that your plumbing works a lot better with a little extra maintenance.